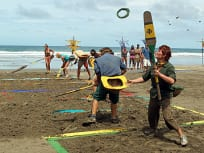 Survivor: Nicaragua concludes and a champion is crowned. 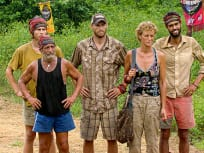 "This Is Going To Hurt"
With just one episode left to go before the finale, one Survivor is brutally back-stabbed. "I'm Not Sure Where I Stand"
Sash finds himself as the swing vote between two three man alliances and openly shops his vote. After making his decision, another survivor is blind sided by the vote. Brutal living conditions threatens the end the run of not one, but two of the remaining nine survivors this week. Read on to find out who went home and why. 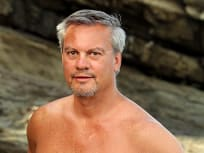 The tribe has an visceral reaction to Marty's ouster at the previous tribal council and start to question who's running the show. A coup is staged, but the king and queen are not worried. We recap who went home and why. The war between Marty and Jane reach a boiling point. Who won? Our recap breaks down who was sent home and how. The two tribes finally merge and the individual portion of the game begins. Two heads are on the chopping block at tribal council with tribe mates lobbying for and against each. Who went home? Our recap summarizes this week's episode. Sash offers Marty a deal with the devil. Marty accepts, but was it the right move? We've got the entire episode recapped right here at TV Fanatic. 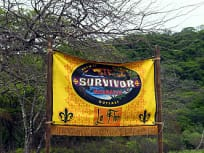 Both tribes are sent to tribal council in a surprise move. The entire run down of the episode is available in our recap. Who gets sent home this week? What challenges are presented to the contestants? We have the answers in this recap. Who got voted out this week? What was the challenge contestants have to overcome? We have the answers! Even at nine players a piece the Espada and La Flor tribe battle in a crucial challenge that ends up sending a popular castaway home. Read our full recap to find out who! One castaway is down, but many are still around. We've recapped the second episode of season 21 right here and now. Castaways are divided by age for this edition of Survivor. One of them includes former Dallas Cowboys coach Jimmy Johnson. I'm single. Single, single, single, single. Permalink: I'm single. Single, single, single, single. Everywhere you look there are dangerous things hanging from the trees. Survivor Round Table: Fabio Wins! 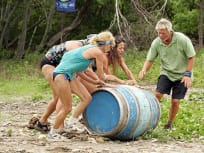 Survivor Round Table: "This is Going to Hurt"